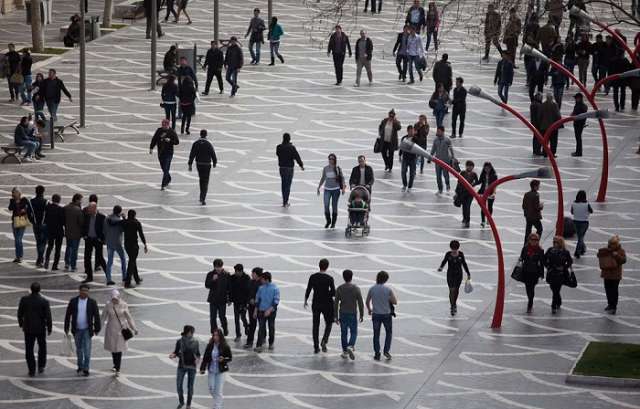 Azerbaijan's population reached 9,950,512 as of September 1, according to the State Statistical Committee. Official figures show that the number of the country`s population has grown by 52,427 people since the beginning of the year. The population density is 115 people per a square kilometer, the committee said. According to official figures, 52.9 per cent of the population lives in cities and towns, while 47.1 per cent in villages. 49.9 per cent of the population are men, and 50.1 per cent are women, according to the committee.